Grab yourself a bargain!! Reduced rates for the summer. Your Orlando Florida Holiday Starts Here! We have installed a modern key entry pad which eliminates the need for keys and a monitored house alarm. We also have free WIFI, so bring along your laptop etc and take full advantage when booking those fast passes or dining reservations for the theme parks. 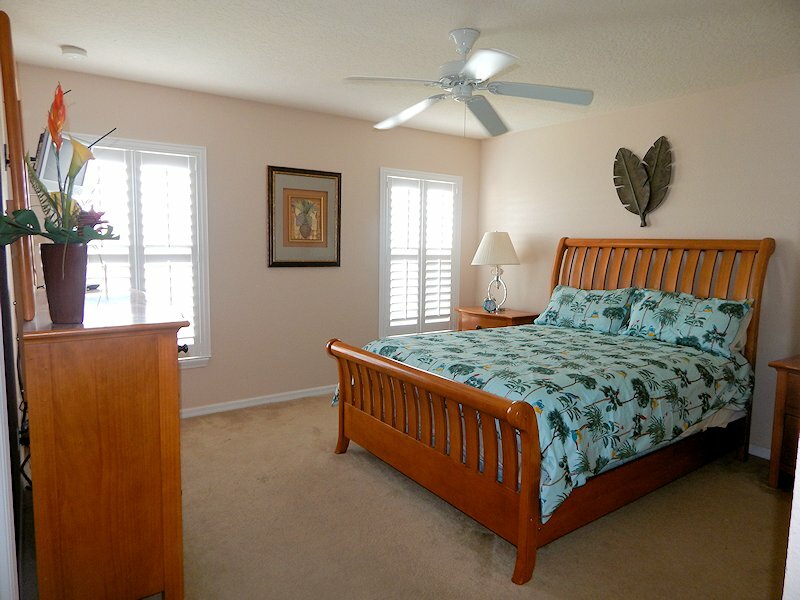 Our Luxurious spacious and comfortable villa Wishing Star is two miles from exit 58 on I-4. Many family activities and theme parks are all very easy to get to. Walt Disney World, Universal Studios, Sea World, International Drive, top class golf courses and Americas finest retail malls etc are just a few minutes drive from the Interstate making this one of the best locations to holiday in!! We also now have the added bonus of a brand new Walmart just opened within a 5-minute drive from our home!! With such beautiful surroundings,Sandy Ridge is built on the edge of a conservation area, but is well positioned for all of Orlando’s many attractions. While being close to all the action, it remains a peaceful oasis. 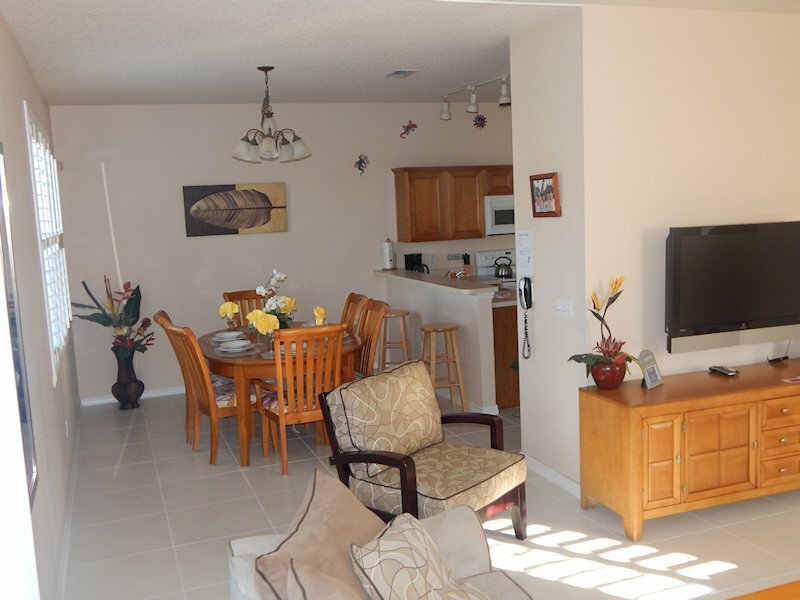 You are sure to enjoy your stay at our relaxing and comfortable Orlando Villa. "Our trip was amazing and so was this house! We felt like we had just stepped into our own home as it was so welcoming and had such a good feeling vibe. We really enjoyed our morning coffee by the pool watching our children play. Pictures cannot do this home justice. 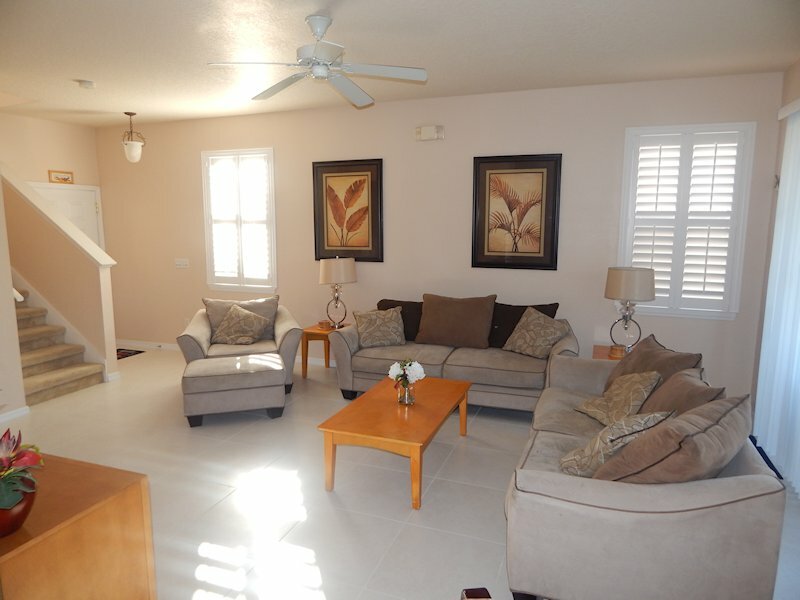 It is clean, spacious and beautifully presented and conveniently located to the theme parks, shops and restaurants." "The property is perfect for adults and kids. The heated pool is beautiful and got plenty of use during our rental period. The kids loved the game room. The house is in excellent shape and in a perfect location. Off the beaten path, yet close to Disney, shopping, restaurants, etc........ This is a class act, from the owners, managers, and cleaners. No issues, just fun!!!" "A beautiful, beautiful home! We had an amazing time and this home made it even more special. Have already booked for next year, see you real soon!!!" "“Wishing Star Villa is the perfect home away from home. 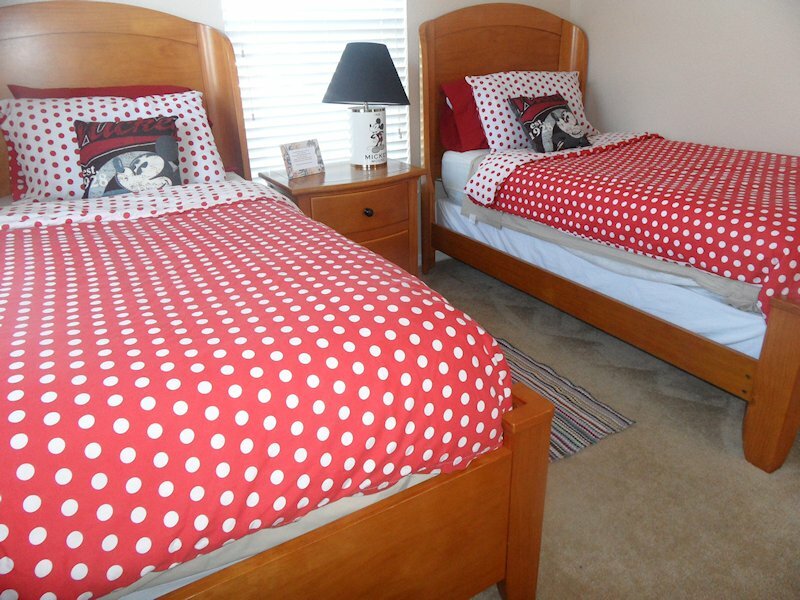 It offers everything you could need for a wonderful stay within such a close drive to Disney and Orlando. The villa is fabulously maintained and the pool area is amazing. Maureen & Ian have been a pleasure to deal with and were always on hand to answer any questions we had in the run-up to our trip. We really didn’t want to go home! We will most definitely be back.”"
"Stayed at this lovely home from home villa for 3 weeks. We didn’t want to come home. 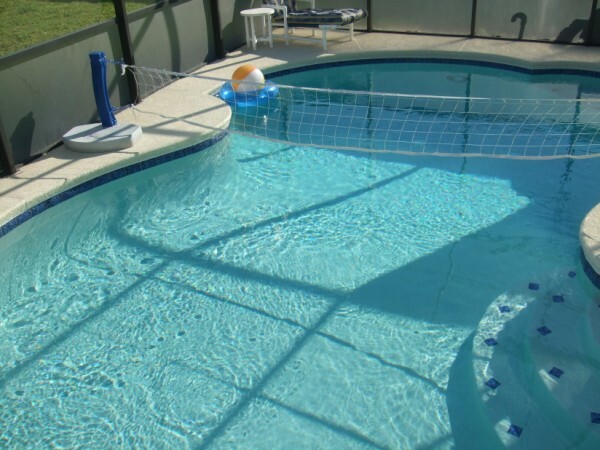 It’s in a great location & it has a lovely pool to use for chill out days & a games room. If we get back to Orlando in the future we know where we want to stay. Thank you, Ian & Maureen." "Thank you so much for the use of your holiday home. We really enjoyed our holiday in Florida which was made all the more relaxing when we had such beautiful comfortable accommodation to return to at the end of a busy day. We found that the location of the property was ideal for accessing the parks and restaurants and any of the other attractions we visited while there. We would certainly recommend your property to any other family in the future." "We thoroughly enjoyed our stay in the Wishing Star Villa. From the minute we stepped in the door we felt at home. Myself and my sisters were delighted with the pool area, there was nothing nicer than coming home after a long day in the sun and having a dip in the pool! 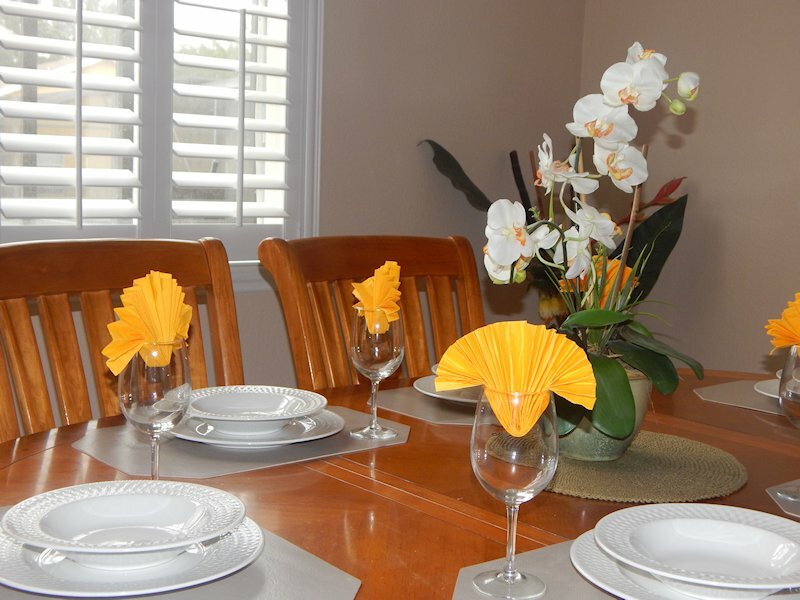 The house was absolutely spotless when we arrived, everything was in place, it was both a spacious and homely home. We would definitely recommend it to anyone who is considering staying in Florida, it is in a lovely neighbourhood and in close distance to Disney which was our main destination each day! We are planning another trip soon and we would love to stay at the Wishing Star Villa again. Big thank you to Maureen and Ian for allowing us to stay in their lovely home!" "We are home and we had the most amazing holiday ever. It was fantastic. We loved your home and felt like we always lived there! We were so comfortable and it had lots of space that we could all chill on our days off and have our own space if needed. So we would like to take this opportunity to thank you, for sharing your beautiful home with us. We saw all we wanted to see and more and got to experience all the parks and enjoy plenty of time there. The boys loved every minute. We are definitely going back." "A beautiful home, well maintained and everything you could want for a family holiday! Thank you, Ian and Maureen, for all your tips and advice. We will be back!!" "We had a brilliant time in your home – it was so much more than what we expected – absolutely brilliant!! We had the best time ever in Orlando and will definitely return to your home in 2018.Thanks very all your help with recommendations. The location of your house is so convenient and the neighbourhood really nice too. Thanks again for everything." "Cumbria, UK We are extremely grateful for the use of your beautiful home during our fantastic holiday fortnight. We could not have asked for anything better. I would have no hesitation in recommending Wishing Star Villa to fellow family and friends." "Just recently back from our second stay at wishing star villa and once again it was amazing. Maureen was so helpful and quick to reply to all My Questions leading up to the holiday. Billy and Tara who look after the house over there were also really friendly and helpful and told us they were only a call away if we needed help with anything . 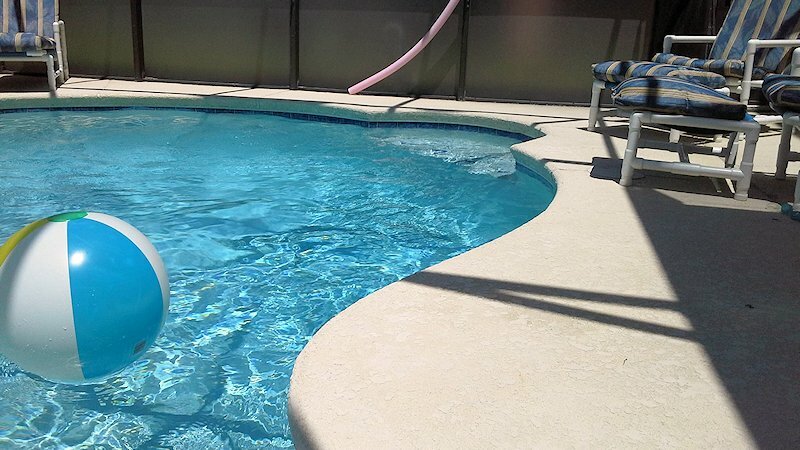 The house itself is beautiful and so well kept and huge which is great for relaxing after hectic days in the theme parks, it’s great to unwind in your own private pool . Neighbourhood is really nice and safe. We all had an amazing time and would recommend wishing star villa 100% and we can’t wait to go back soon hopefully "
"Thank you, Maureen & Ian for letting us have the most amazing stay in your beautiful home. The location was perfect to come back to and relax by the pool after our busy day at the parks. It was a holiday of a lifetime and your home topped it off. we will definitely be back." "Very clean and very welcoming villa! Enjoyed our three weeks location is terrific. A beautiful home you should be proud of." "Rush, Co Dublin, Christmas 2015 to January 2016 We are all back to reality now. We had a really enjoyable holiday. Your Villa was fantastic and we were very comfortable in your home. 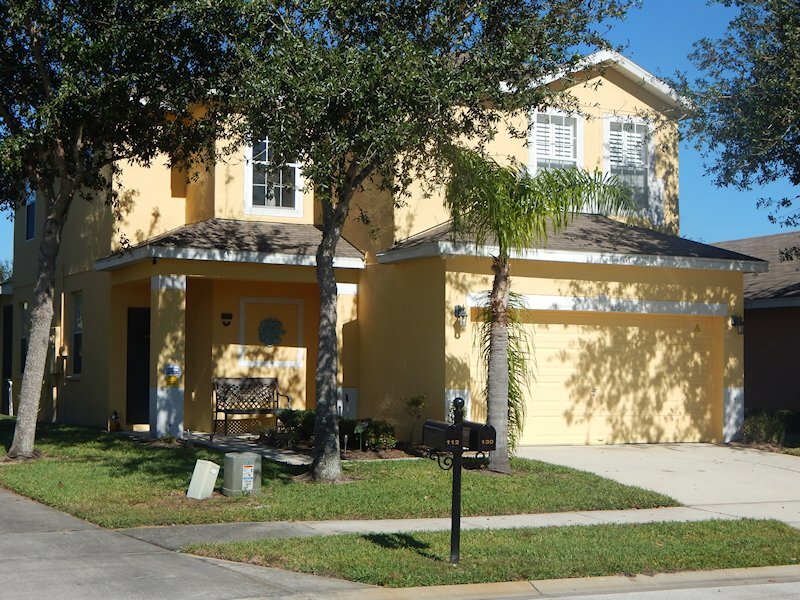 We would definitely stay there again and will recommend your villa to family & friends if they were travelling to Orlando." "We had an amazing time in Florida…loved the house and hope to book with you all again in the future :) we were completely exhausted…4 straight days of Disney and Universal with 4 kids…whew! Thank you for the opportunity for us to stay in such a lovely home…that truly felt like home to us for a week,the ease of communication with you all and kindness. Look forward to talking with you in the future." "We had a fantastic holiday at your villa in Sandy Ridge. Everything was easy to get to. We were near shops, restaurant and take aways. Kids loved Dunkin Donuts !!! We loved the pool and the relaxation of the house on the days we didn’t go to the parks. Thanks to Ian for phone calls and restaurant tips. A very memorable holiday for all." "We had an amazing time in your beautiful home(if we could take it home with us, but it won’t fit in our suitcases, so we will have to take some sun home instead!!) Thanks so much for your call making sure we didnt need anything! Don’t think we have ever stayed somewhere so clean + comfortable !! We will definitely be back." "Michelle Ose,SC, USA, visit We stayed 7 days at this home with our older kids and two grand kids as we visited Disney. We had 8 people in total and had plenty of room. It was nice to have a oven and a refrigerator. We also enjoyed the pool. We would definitely stay here again. We had a couple questions while we were there and the management company was quick to reply and very polite. Entering the house with a code at the front door was wonderful. No waiting." "My family and I had a fantastic time which was greatly improved by our stay in the fantastic wishing star villa. From the time I booked it, Maureen and Ian were on hand to answer any questions we had, they were always warm and courteous with helpful advice. This was the first time we hired a villa and we are delighted we did so.When we arrived we knew we had made the right choice, the house was very clean and well kept, the rooms are large with flat screen tvs The pool was excellent and welcomed on our rest days from the parks. The villa is close to all the parks and the area is very safe with security patrols regularly also there are shops takeaways etc a stones throw away. I would have no hesitation in recommending wishing star villa to anybody." "We had the most wonderful Christmas in your beautiful villa.Thank you so much for the lovely surprise of the decorated Christmas tree,the children were so excited and it really made our Christmas complete!Being so close to Disney was great especially as it was so busy,it was nice to come back to the villa and relax and even have a nap before we headed off again.A wonderful,memorable holiday!!" "What a fantastic villa ! a peaceful conservation area(saw eagle & armadillo on our first morning). The house is beautiful and so clean. The restaurants, and shopping we needed just a few minutes away. The golf at champions gate was terrific Thanks for all the tips. Your home matched and exceeded our expectations, we will recommend you to our friends,relatives and will see you next year." " This was the best vacation ever, in the most perfect location and the most perfect villa. We had a great time playing volley ball in the amazing pool and really felt at home. We will definitely be back to your wonderful villa. " " great villa, perfect location, a fabulous experince from the time we booked till the day we came home. the villa made our holiday! we have always stayed in hotels,but decided to try something different, it was the best disney experince ever. the kids adored the pool and we enjoyed the location, EVERYTHING was on our door step and it was so easy to pop back to the villa when we needed to rest." Unless otherwise stated, all prices are for 7 nights stay in the villa and include all taxes. A deposit of £200 is required with booking to hold dates. Balance is due 12 weeks before arrival with a refundable security deposit of £250. Any bookings taken within a 12 week period before the start of vacation must be paid in full. One of the newer communities situated in the peacefulness of the orange groves that border CR532 and Old Lake Wilson Road. 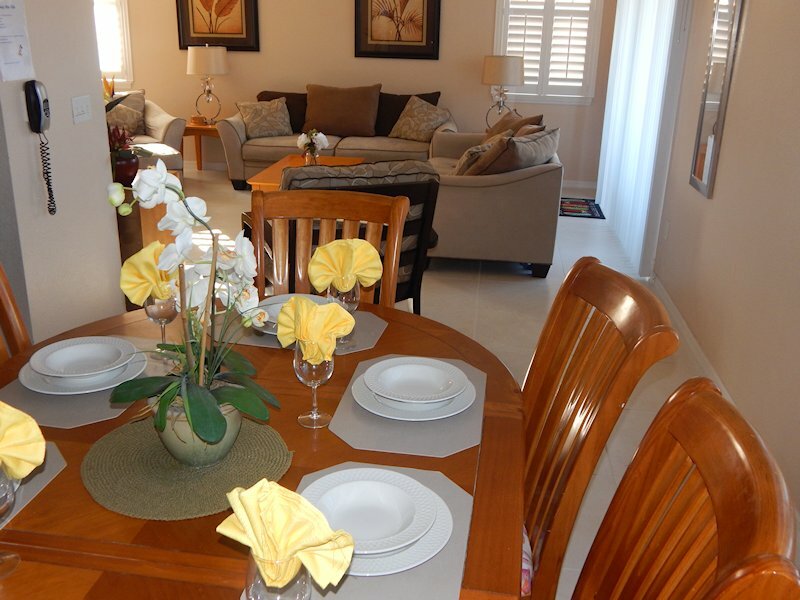 Sandy Ridge offers a variety of well-presented rental properties from the smaller single-storey 3 bedroom villas to the bigger 5 bedroom villas - all of which are built around a series of ponds and lakes. Being aside from the hustle and bustle of the attractions, there are a number of golf courses in the local area - including the fantastic Championsgate, Mystic Dunes and Reunion courses. With this area still being developed, the number of local shops and restaurants may be limited. However, if you head for a couple of miles towards Lake Wilson Road / Interstate-4, the eateries are more plentiful - namely: Pizza Hut, Wingstreet, Chilis, Beef O'Bradys. For those everyday essentials, there is a Publix supermarket and a 7-Eleven located alongside. Head towards Championsgate on CR532 for more shops and if you are looking for the nearest WalMart Supercenter, this is on US192 near to Medieval Times. Highway US192 also has an abundance of shops, restaurants and attractions. Wishing Star is that extra bit special.... as its beautifully furnished, luxurious, spacious, open and very comfortable for couples and families. It is excellently maintained and updated regularly, and our wonderful management company are available to look after you during your stay. Our home from home which is kept in pristine condition consists of a large comfortable living area which has been professionally furnished to suit adults and children. With 2 comfortable sofas and 2 armchairs, there is plenty of room for everyone. 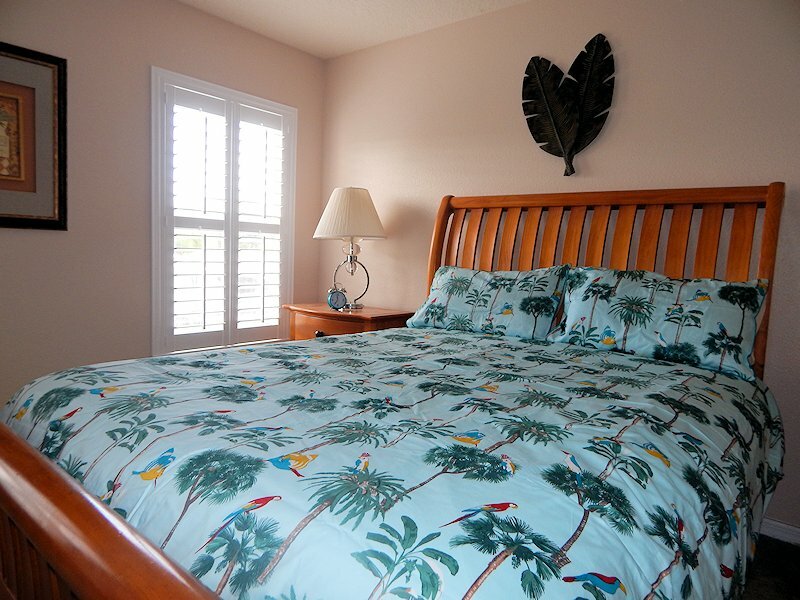 Air conditioning and ceiling fans, and our beautiful plantation blinds will keep everyone in a cool and comfortable environment. A large wall mounted flat screen cable TV, a DVD player will keep everyone entertained for a family evening in. The dining area has a beautiful teak formal table, for those special family meal times. Should you wish to eat in, there is a fully-fitted kitchen, with all modern conveniences - including large fridge freezer (with ice maker), dishwasher, large oven and microwave. All cutlery and crockery are provided. Laundry facilities include a washing machine and dryer. 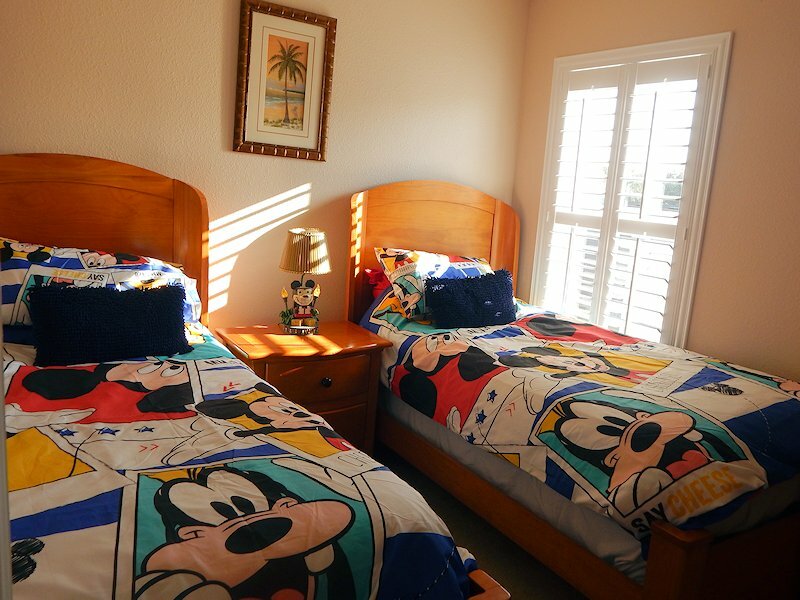 With two bright Disney themed twin rooms, and two comfortable master bedrooms,2 en-suites, flat screened TVs in all the bedrooms with cable, with high quality furnishings, a family bathroom and a downstairs half bathroom there is room for all the family or two families sharing. All bedrooms are air-conditioned, furnished with fabulous plantation blinds and plenty of cupboards and walk-in wardrobes. We also supply hair dryers in all bathrooms, spare linens and an abundance of towels and for our younger guests a high chair and cot. Our large relaxing private poolwith its luxury furnishings(no nasty sticky plastic seating here !!) make our sunny villa a great place to spend a memorable family vacation or indeed any holiday vacation in a warm and sunny climate. 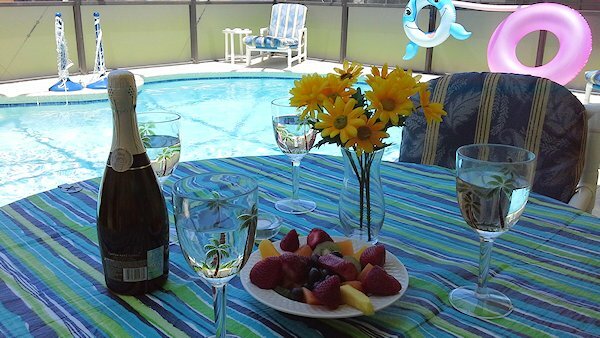 There is ample pool furniture alongside, with separate table and chairs under the cooling lanai with ceiling fan. Also, what is better on a warm Floridian evening than bringing out the barbecue, lighting up the pool and having a drink or two? Taking care of your children we have installed a child safety screen and an alarm on the patio door leading to the pool area. 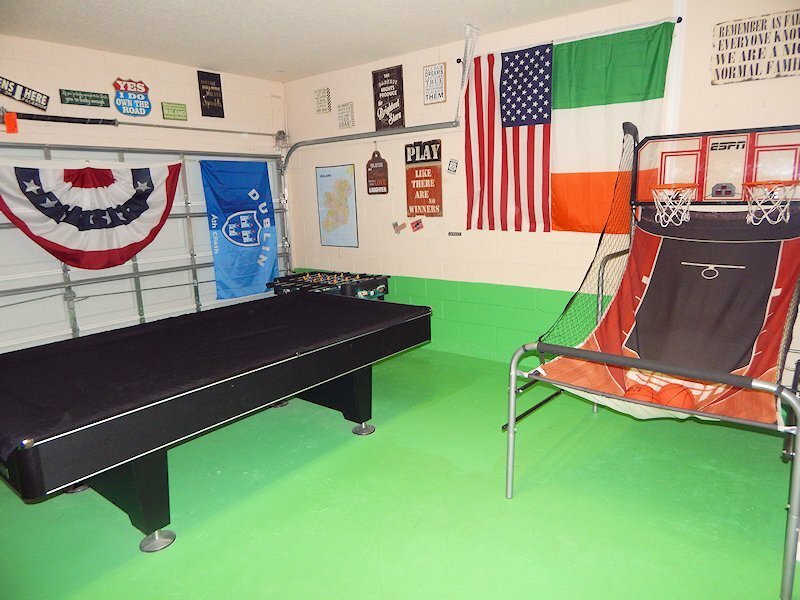 We also have a games room with a full-size pool table, foosball and a child/adult basketball net.